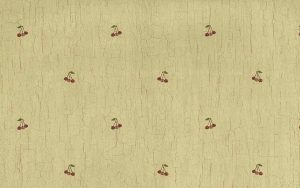 Yellow lemons vintage wallpaper. Yellow lemon fruit combines with Green leaves and Orange accents on an Off-White crackled finish. 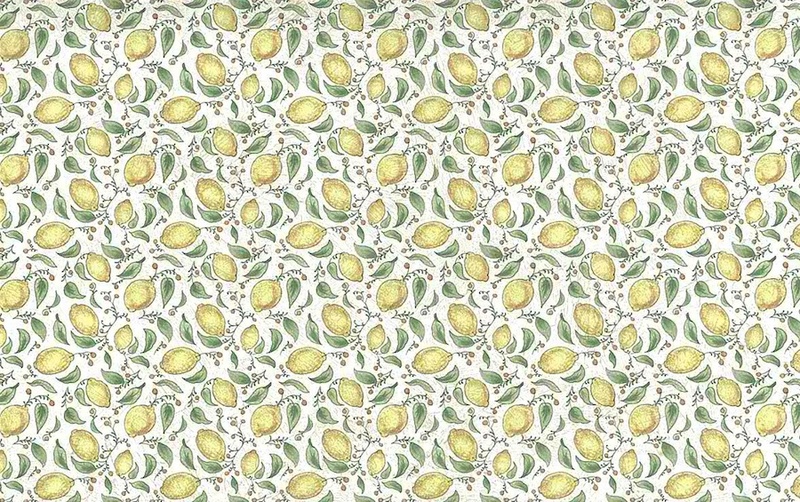 The lemons fill the pattern giving it lush look. A fresh Kitchen look. Purchase all 10 double rolls and receive a FREE additional, partial, roll. Usage: Ideal for a Bathroom.